There are simply no words to describe the infinite beauty of the North Carolina mountains. Sharing your wedding or special occasion here among your family and friends, in this glorious setting at this jewel of a hotel, will create a memory to be cherished forever. We will accommodate your guests, arrange your reception dinner, and, if you choose, put you in touch with local merchants for flowers, photography, music, specialty cakes, and everything you will need for the perfect affair. We even have a wedding deck, facing the mountain in the distance, created exclusively for these special occasions. The setting is breathtaking, especially at sunset, and we invite you to use the deck for your outdoor ceremony. 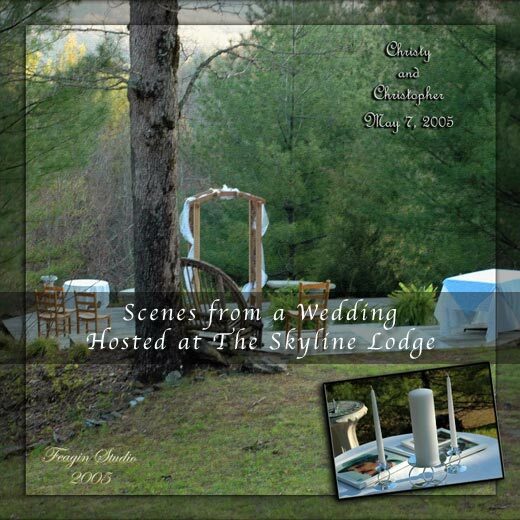 Please use the following form to contact the Skyline Lodge events planner for information regarding hosting your wedding or any special function at the Skyline Lodge.